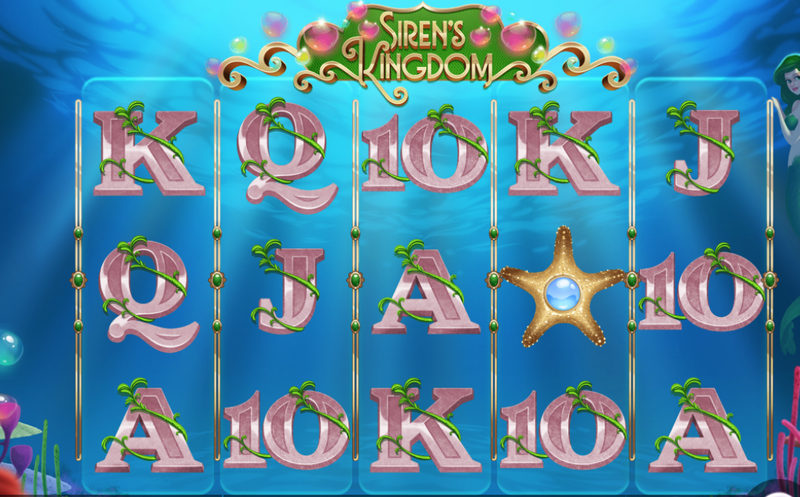 This online slot game is the perfect contrast of under the water fun meets sinister Greek mythology. Just to bring you up to speed, the Sirens were creatures that would sing out into the depths of the ocean and aim to bring down ships and their crews of sailors. This is a creative game which adopts the traditional five reel layout with three rows and thirty paylines which are fixed. You tend to not hear the developers name (Iron Dog Studio) all that frequently but they exist with the reputable 1x2 Network. Their work aims to create entertaining themes and interactive gaming online to keep players entertained and help to build their online portfolio. In doing so, they aim to keep up to date with current technological advances and ensure that their games are suitable on a variety of platforms; running at a sound quality level. Easy Slots has many games available by this developer, explore more. Look out for the colourful seashells which represent the highest paying symbols! The standard J, Q,K and Ace make up the lower value symbols in this game. The mystical sirens dance majestically in the background of the game, behind the reels. You will see the creatures swim ferociously on the reels as a close up of one pop up as the wild symbol, acting as a substitute for all other symbols on the reels. This will increase the chances of landing a winning sequence. The golden octopus acts as the scatter symbol. Collect three or more of this dancing octopus anywhere in the reels and you will gain access to free spin rounds. Three scatters is equal to 14 free spins, four scatters attributed 25 free spins and five scatters will give you a satisfying 36 free spins. Set your bet accordingly from 0.30 to 150. There is also a Max Bet feature which will aid in setting the maximum bet that you are allowed for each spin. There is also an auto-play feature which allows you to sit back effortlessly and watch the reels spin and the sirens swim! You can even choose the number of times that the auto play function works for. There is a sticky wild feature that has the opportunity to swim onto the reels with her purple hair flowing effortlessly and move outwards in 2 different directions on the second spin after which it will swim off again. Spin the wheel today to be in with a chance of triggering brilliant bonuses and other promo features. This is a great theme with lots of action to immerse yourself in, the under the water setting is exciting with a sense of mystery that derives from the Greek story. The sound effects add to the under-water serenity…well as long as you don’t fear the sirens! The free spins make it an inviting game with the opportunity to increase winnings. In fact Iron Dog Studios have developed a respectable online slot game with an RTP of 96.8 percent. 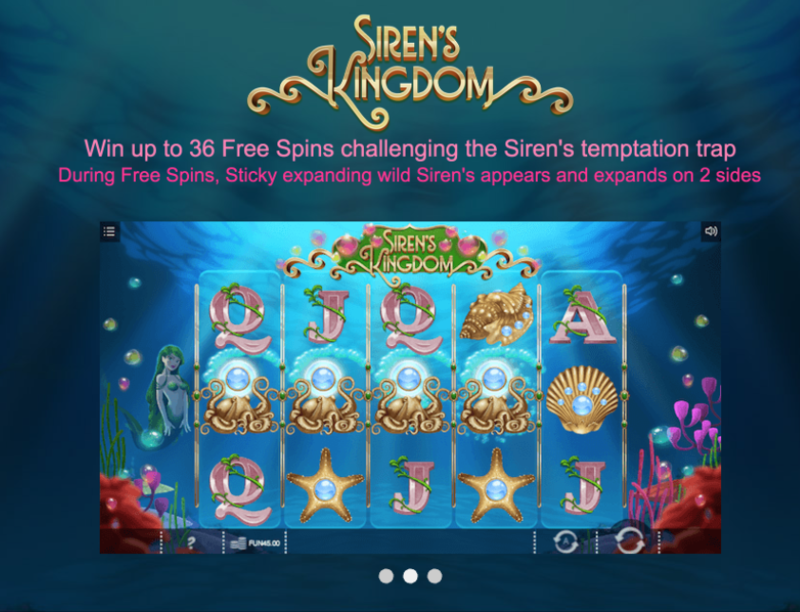 So get ready to dive in deep and enjoy some free spins with this mystical adventure into the deep ocean! Play online slots games by the same developer now.